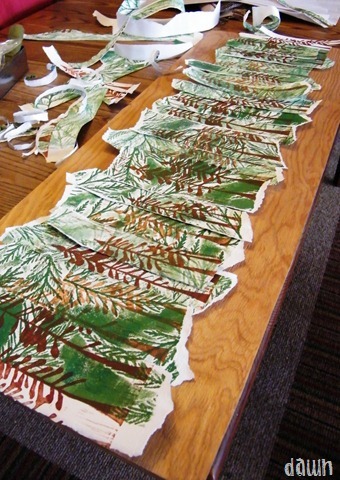 My printmaking class is tonight and it is my turn for critique. This means I bring in my recent work and the class discusses it. There are some guidelines around how this discussion should go (try not to say, “nice!” too many times, be specific, stay on topic). What I like the most and value the most though is when the discussion turns to the question of where I should go from here. What are my next steps with a piece and with my work in general. Our instructor, Kamla, is particularly insightful. I have a pretty good idea of where I want to go and how to get there. I took my friend Evelyn to see my show last week and we had a good discussion about it. She used the word organic and it was like a magical chord for me. 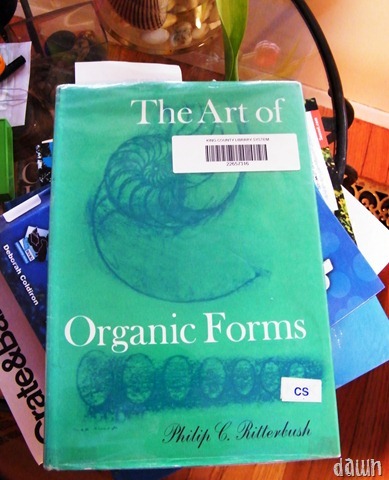 I started reading “The Art of Organic Art Forms” by Philip C. Ritterbush and it is inspiring to say the least. I’ve also been inspired by the work of Mariska Karasz and other needlework artists from the 1960s. This is an obsession I’ve had since forever. I’ve a huge collection of McCall’s Needlework magazines from the 60s and 70s, the era I started to learn embroidery. I keep going back to these for inspiration. In fact, when I’m stuck or in need of “comfort art” (hmmm, that’s another post isn’t it?) this is where I go. The piece I’m currently working on is going to be a good transition piece. I’m tearing up the work I did in class a couple of weeks ago – purposefully and in a good way. I’m going to stitch it back together on a large piece of found plywood. Then add more layers for the undergrowth and soil and sky. 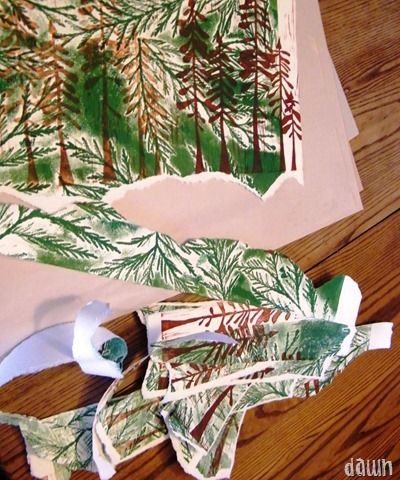 I’m going to stop taking paper to class and start taking fabrics. Linen to be specific. I’ve done printing on silk and felt before and I like it. I’m taking it all to the next level. 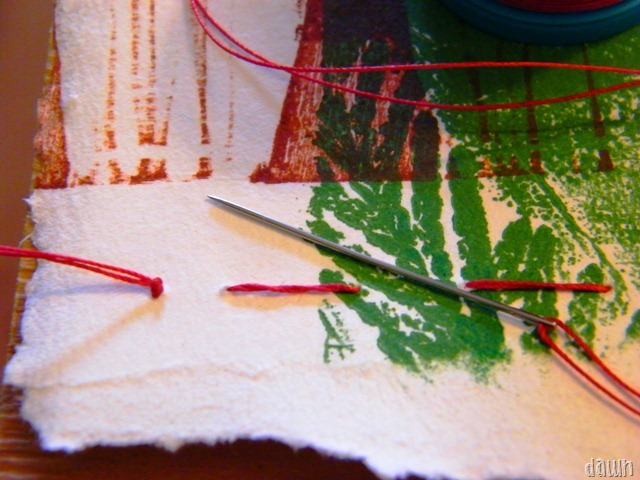 In fact, tonight I think I’ll redo everything from last class, but on linen. I’m excited.